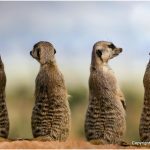 What is most striking about meerkats is their ability to stand on their two feet and inquisitively evaluate their surroundings. These long-bodied, squirrel-like creatures display strong harmony in their daily activities that are exciting to watch. Everything they do, including the way they breed, their breeding habits, the way they nurture their young ones and defend themselves is synced to near perfection. 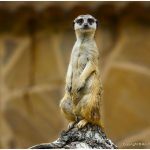 Popularized by the animation film The Lion King and the animated series Timon and Pumba, meerkats will tickle your love for nature. 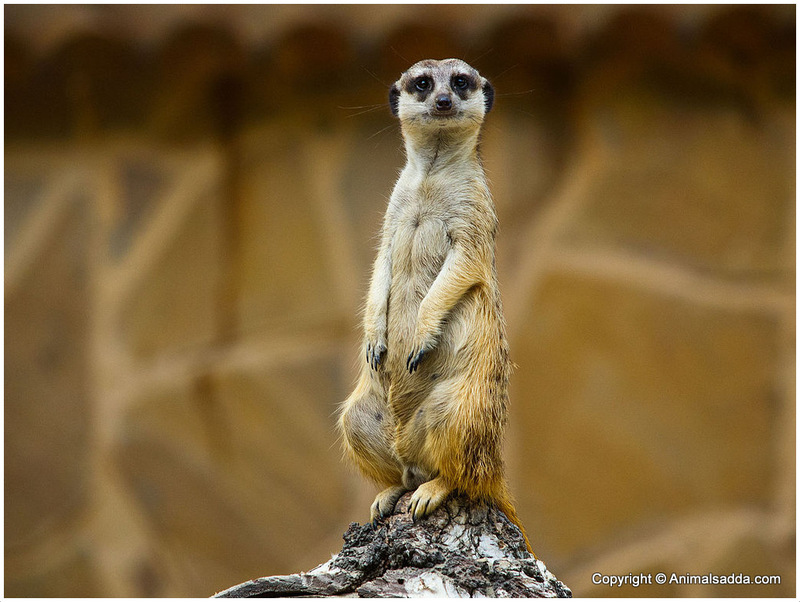 Meerkats station a sentry whose job is to look for trouble while the rest of the gang carries out their day’s activities. The guards are relieved of their duty in every hour, so everyone gets a chance to forage during the day. What’s most interesting is that the entries have different alarm signals to indicate a different type of threat to members of the gang. 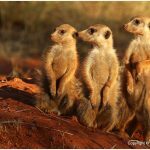 Young meerkats can’t forage until they are 1 month old. Even then, they only hunt in the company of an adult that trains them. 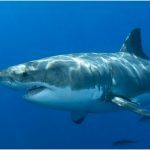 They are omnivores (they feed on both plants and animals). 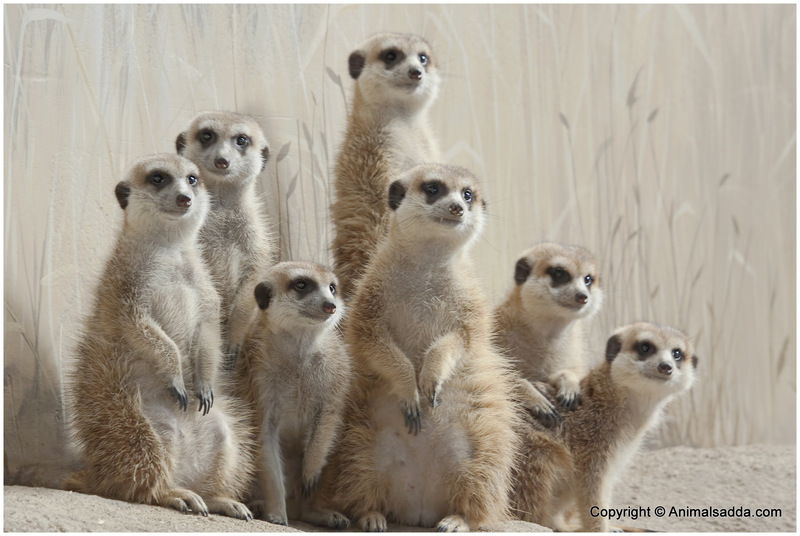 Their scientific name is Suricata suricatta. 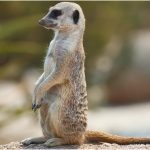 They have three subspecies, the Southern African Meerkat (Suricata suricatta, suricatta), the Angolan Meerkat (Suricata suricatta iona) and the Desert Meerkat (Suricata suricatta majoriae). They aren’t ideal as pets and they bite strangers as they are territorial. 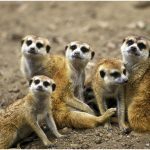 Their conservation status is listed as ‘Least concern’ because their numbers are adequate and they do not face any serious threats to their existence. They mainly feed on insects but lizards, snakes, spiders and small mammals are also included in their list of food. 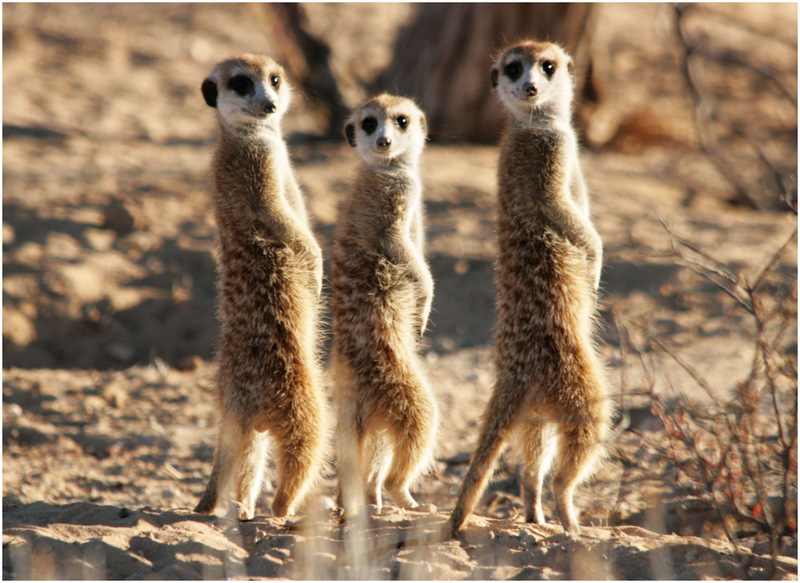 Meerkats possess a natural immunity to the venom of scorpions scouring the Kalahari Desert. They also feed on some plants, fungi, and fruit. 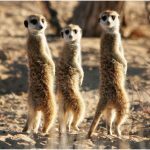 They are found in the grasslands of the southern parts of Africa in the Namib Desert and the Kalahari Desert. 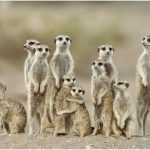 More specifically, they live in southwestern Botswana, Western and Southern Namibia, North and West South Africa, Southwestern Angola and lower Lesotho. 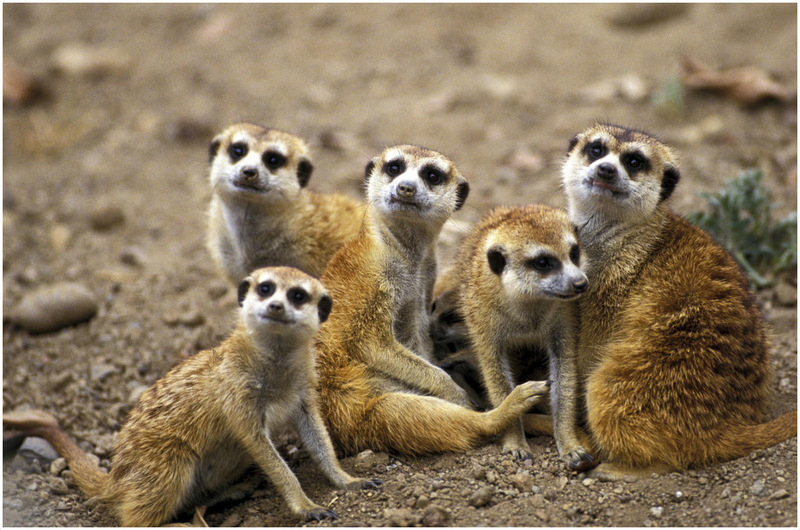 They live in groups called gangs and these gangs can have up to 50 members. They are led by a couple with the female in charge. They live in complex burrows that comprise numerous tunnels and entrances/exits. These holes are helpful when hiding away from predators and extreme heat from the sun. 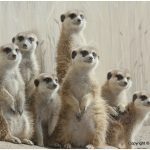 What’s interesting about them is that they don’t have just one den or burrow. They’ll rotate their homes now and then when there is danger or scarcity of food. 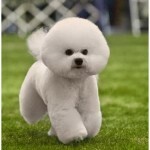 They are diurnal creatures which means they are most active during the day. They spend their days basking under the sun, grooming each other and foraging for food. If there are young cubs, everyone (including the male adults) helps take care of them and would even risk their lives for them. They always have one member of the mob standing guard to warn the rest who are feeding. 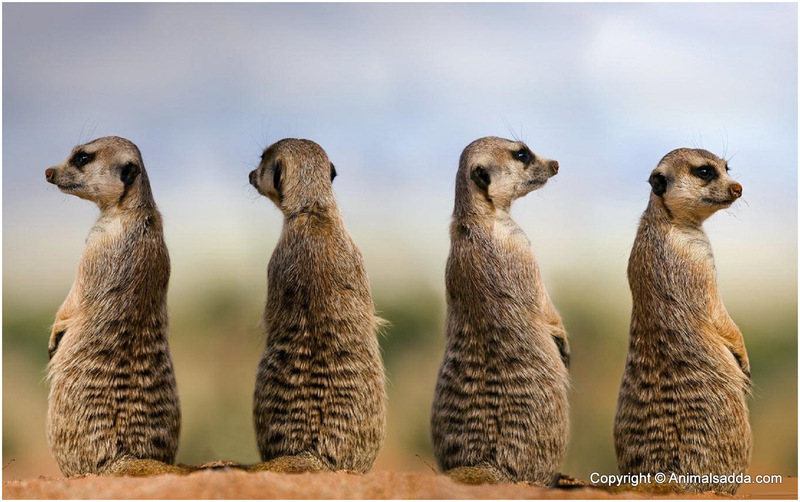 Usually, after an hour, one meerkat will relieve the sentry to give everyone a chance to feed. 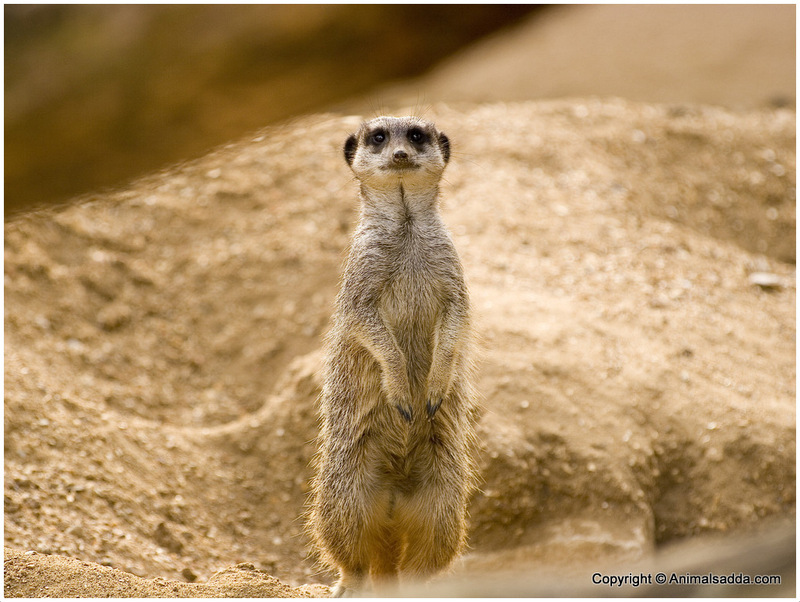 They are very territorial animals and will view any trespassing, even by meerkats from other mobs as aggression. On some days, they have to fend off predators like snakes. One interesting thing is that they use a common latrine. Their main predators are tawny eagles, martial eagles, and jackals. It isn’t uncommon to find snakes attempting to attack a gang too. 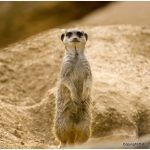 They use their burrows as a defense mechanism where they hide in the face of danger. When their only defense is to flee, the use their ability to dig quickly to form dust clouds that disorient their predators. Sometimes, with large gangs, predators like snakes will find themselves in a sticky situation. The gang spreads out and makes noises with their tails up to disorient the snake. They also move about to confuse the snake. Often, unable to select a target, the snakes slither away and leave the gangs to their own. 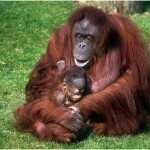 Breeding is mostly the responsibility of the alpha couple with the female in charge. They are mostly seasonal breeders. 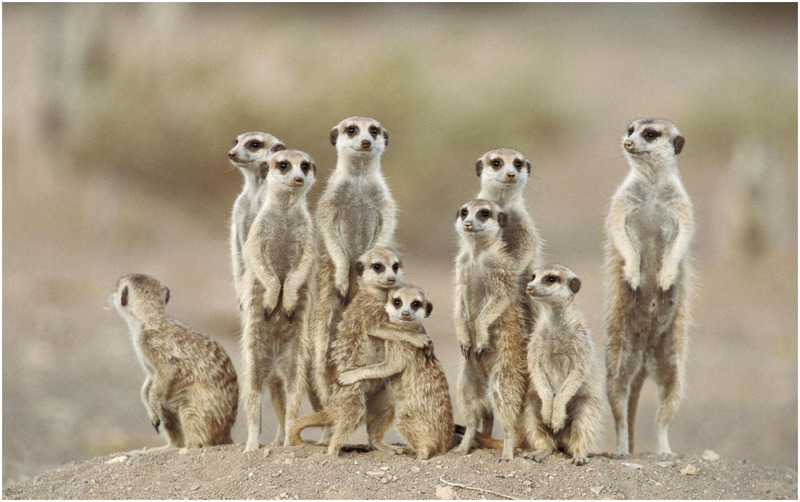 Meerkats become sexually mature in one to two years. 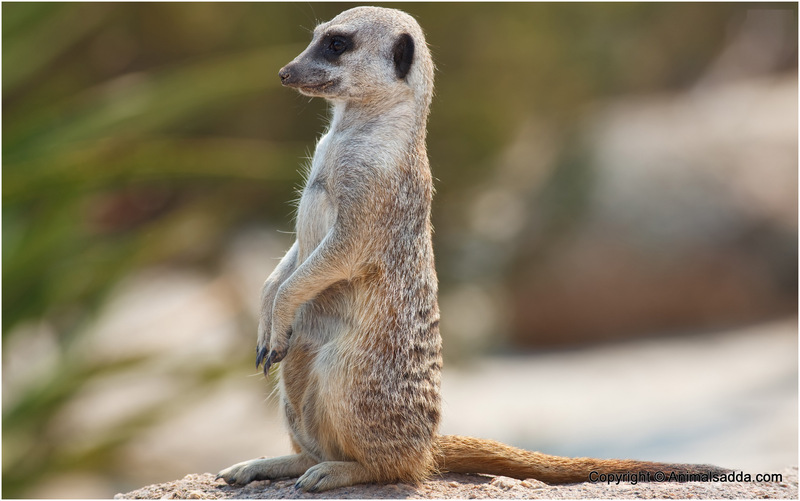 The male Meerkat initiates the process by fighting the female. In the face of resistance, he will wrestle her until she submits. 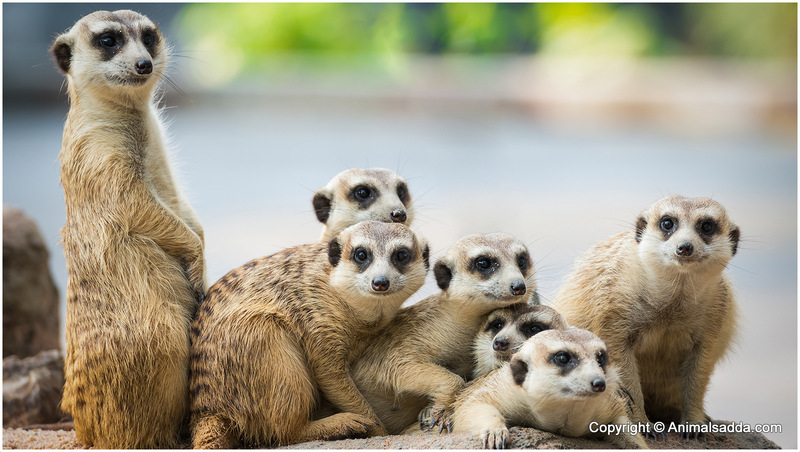 The gestation period in meerkats lasts for about 11 weeks. 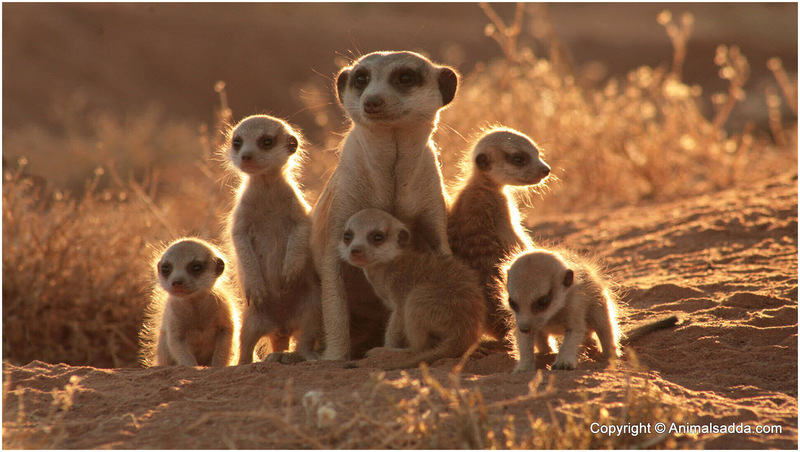 For their safety, young meerkats are born underground where they stay with their mother for about 3 weeks. 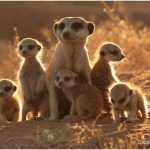 A litter of cubs will usually have 2- 5 cubs. 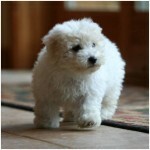 They are born without sight and hearing, but their ears and sight develop by the third week. It is worth noting that breeding can take place throughout the year but is more frequent in warmer months. Feeding the pups is a community affair. When the alpha male and female are away, they’ll someone watching the pups. 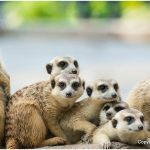 They begin horning their hunting skills while still being fed by struggling with their siblings for a share of the ‘loot.’ By 9 weeks, young meerkats will be weaned and will have begun hunting with an adult ‘tutor’ to get food for themselves. 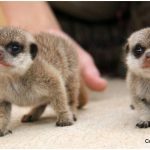 They have the height of 25cm to 35cm. 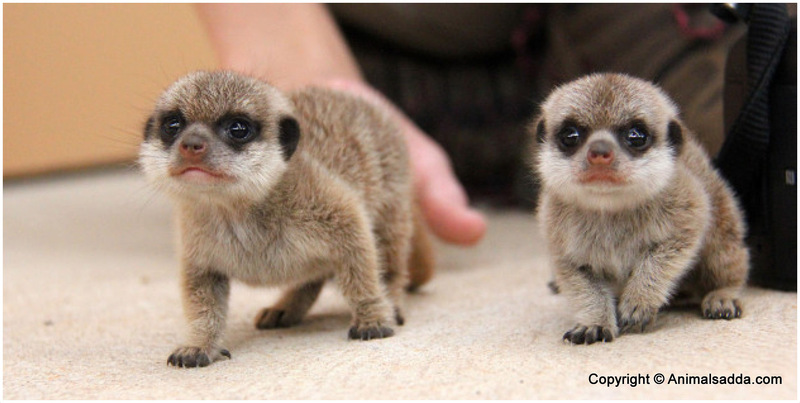 These small creatures weigh less than a kilogram while in the wild. Those in captivity tend to weigh more, as they don’t move much and get a steady supply of food. Their tails can be as long as 25cm. They have dark-colored eyes with dark rings surrounding their eyes. 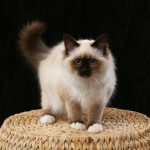 Their fur looks brown with gray flacks and individually unique striped patterns on their backs. 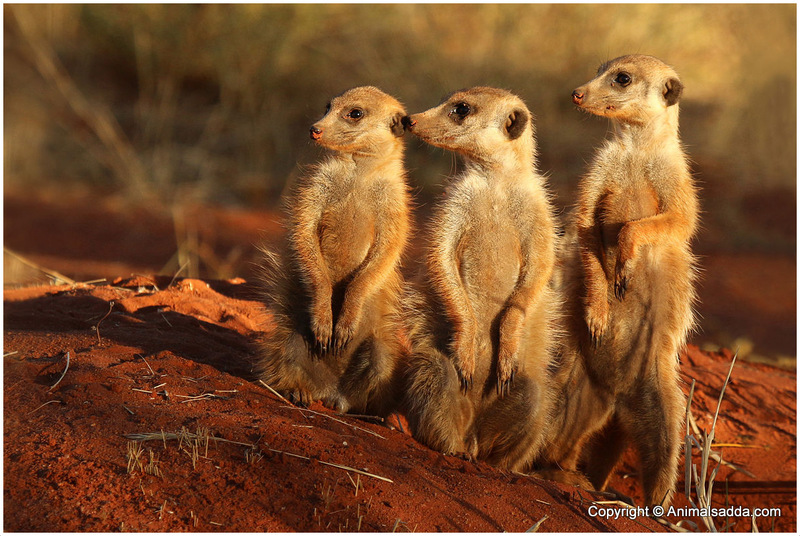 Their bellies lack fur or any markings to help them absorb heat in the morning and keep themselves warm. Their eyes have dark markings that serve the same purpose as human sunglasses. This is particularly helpful since they live in desert regions where the sun can be a little intense. They are iteroparous organisms (they reproduce in consecutive cycles based on seasons or years).